This reminded me of a favorite song I enjoyed singing before. It was Mandy Moore’s song titled 17. I got hooked listening to her songs when her movie A Walk to Remember was shown in movie theaters several years ago. Can’t believe it’s been a long time already! I was still in my teens then. I even told myself that when I turn 17, Mandy Moore’s song would be my banner song for that year. However, it’s inevitable for me that I would sing a different song after a few months of singing it countless times. Anyway, it was because of that song that 17 became my favorite number. I still like that number up until today. I just feel that this song has somehow helped me to know myself better and know what I really wanted to do with my life. What gives me hope? The song, Only Hope, came up to my mind instantly. 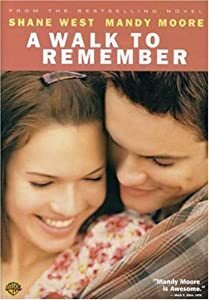 I was first in love with it when I heard and watched Mandy Moore sing it in her movie, A Walk to Remember. I am hoping I could sing this lovely song someday. Who knows? Going back to the question, what gives me hope is my belief that I can also be successful in my chosen career path. I have been down once, twice, thrice, and even countless times that I cannot let myself be drowned with self-pity again. It’s time that I move forward courageously especially in writing more posts here in WordPress. Frankly, I love seeing progress in my blogging and I enjoy seeing more improvements from me in the coming months ahead. I would like to end this post with this beautifully made video clip of Only Hope which was sung originally by Switchfoot.